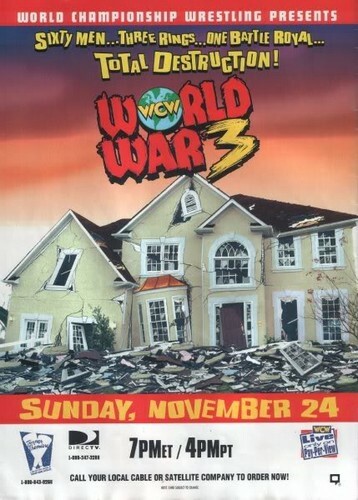 WCW World War 3 1996. . Wallpaper and background images in the World Championship Wrestling club tagged: photo. This World Championship Wrestling photo contains anime, komik, manga, and kartun. There might also be bioskop, teater film, istana gambar, gambar palace, multiplex, and multipleks.